Although the majority of hunting takes place between September and April, the hunting calendar is a busy one. The year ‘officially’ begins on 1 May, when mastership and staff changes take place. The summer months are busy with puppy shows, hound shows – culminating in the Festival of Hunting at Peterborough in July – and hunt events. Much time is spent improving areas of the hunting country and access to it, while in kennels it is often a frenzy of repairing, cleaning and painting. Autumn hunting, when the young hounds are introduced to the hunting field, starts at the beginning of September. Opening meets happen around the beginning of November, and then it is full-tilt until the end of the season, which may be as early as February in some areas and as late as mid-April in others, depending on the types of farming that take place there. 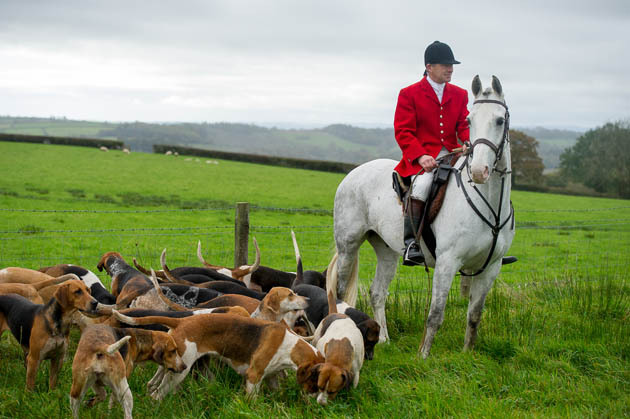 Since the 2004 Hunting Act came into force in 2005, hunts in Britain use a variety of exemptions under the law, including trail hunting, hound exercising and the use of a bird of prey. Horse & Hound covers all aspects of hunting, reporting on days with packs across Britain and Ireland and giving you behind-the-scenes access to hunts of all types, from foxhounds to beagles and harriers, staghounds, bassets and minkhounds, as well as drag hounds and bloodhounds. The hunting world is a rich and varied one – discover its history and culture with H&H. How much does it cost to keep a hunter?